DOB: October 22, 2017 - SOLD OUT! KRUSH is an absolute handsome chocolate male. His marking ability and drive to retrieve is second to none. His pedigree contains some of the most recognized chocolate and black competitive retrievers. Krush has a stunning water entry earned his AKC Master Hunt Title on 5-17-15. 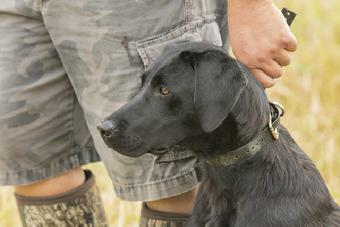 Krush is owned by Christian and Marlisa Ricker of Bold Bay Retrievers in Easton, Maryland. Dew Claws were removed on 10-25-17. Pups will be wormed at 3, 5, & 7 weeks of age, and pups will receive their 6 week vaccines and be vet checked and certified healthy at 7 weeks of age at Silver Maple Veterinary Clinic. Born and raised in our home....well socialized. Ready for new homes December 15/16.